Last week we didn't have anything major on our schedule - no swim team, no camps, no VBS so we slept late and just did a few fun things. I started the week by chopping off my hair! I feel like I always come back to the bob. It's just my friend. ha! Joseph's mom took Hollis and Joseph to play putt putt Tuesday morning. Will Holden hopped in the car before they left and didn't want to get out. I said he would need to practice to be their chaperone in future years. I've had several people send me this article about preschool friends who married 20 years later. This may be H&J. Wednesday we went swimming at Joseph's pool and had a great time. 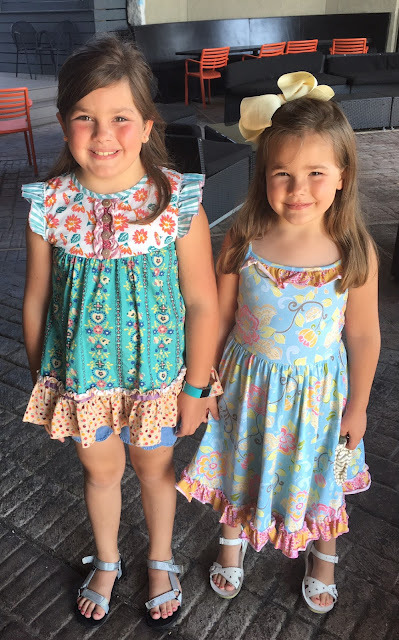 Thursday, Will Holden went to MDO and I took the girls to eat breakfast and then we swam the rest of the time he was at school. We had so much fun. 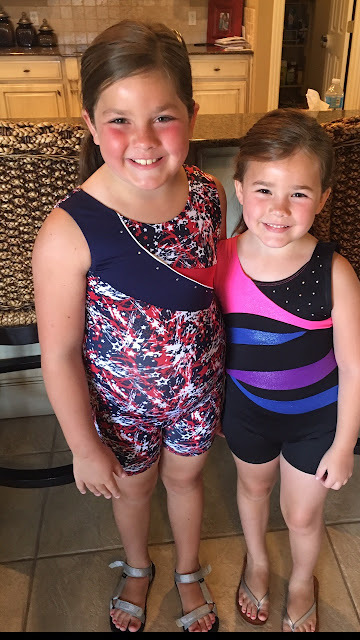 Then the girls went to gymnastics. While they were in gymnastics, I had planned to go to the grocery store with Will Holden but my light came on in my car that I had a flat tire. So I pulled up to a gas station to try and put air in. Only I have no idea how to put air in a tire. I tried for about 30 minutes with no luck until my friend Brooke came over (she was getting gas) and she helped me. I got the girls and we went to Walmart to get it fixed and Scott met me there. He took the girls and I took Will Holden to wait. It ended up taking forever because they couldn't find a leak. (I later figured out it's something wrong with my tire sensor and not really my tires). Will Holden and I strolled around the store forever. He was so good but he needed a snack because by now it was way past dinner time. We had a low key weekend. We did go to the park for a while and had it to ourselves. But that was probably because it felt like the surface of the sun. WE didn't stay long because we were all too hot. Yesterday we had church. Laurie and the girls are out of town so we took Steve to lunch with us. We are excited for fourth of July. People were shooting off fireworks the other night and I took WH out to see them and he LOVED them. He kept asking for "more". So I think he will love the fourth!